There's a crocodile on the loose! And it's just chilling at the bottom of an escalator! "Ready for an adventure through the Brazilian forests? Wild world with Richard Rasmussen." 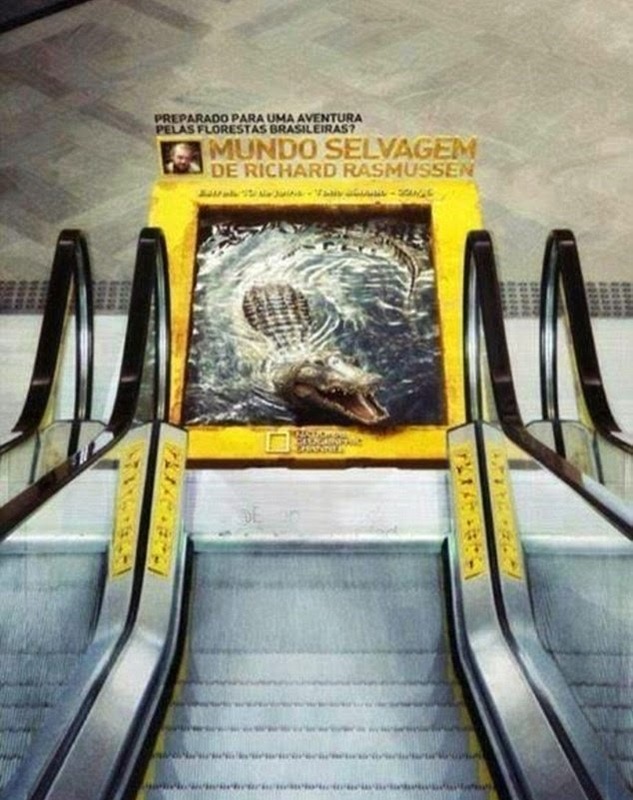 Now some might wonder how this ad could scare "logical" people, but we're totally willing to bet that if we went on that particular escalator in an unsuspecting manner and saw a crocodile, we very well might pee our pants! Logic gets thrown out the window, for us, in this case! This definitely is an amazing ad in terms of catching one's attention, but will its tactics frighten potential viewers off? Personally we don't want to see any crocodiles after this for a long time!